Actress Hwang Bo-ra was better known as the 'cup noodle girl' from the cup noodle commercial. She debuted in 2003 through SBS and the commercial she completed, helped boost her into stardom with a famous nickname. The cute, little girl is now a touch over thirty. It's been 11 years. She's been building her acting foundation in various movies and dramas; now she's more experienced and all grown up. However, she's had her slump. When she was in the JTBC drama "The Firstborn", the role of Soon-geum hadn't been decided yet, so Hwang went to see the producer. Lee Gwan-hee hadn't known she was the commercial star; thereafter, he thought highly of her passion. "It was a chance for me. It was the time for me to take off the 'cup noodle girl' image and become a real actress. I really wanted that role but I fell into a predicament although I always had a script in my hands. I couldn't act as soon as the 'shoot' sign was given". "I thought to myself, 'I am a terrible actress'. I held onto the script for 2 weeks beforehand. If you do that, your fear of acting will disappear in a flash". "I discovered a lot about myself as I prayed. I only had the greed to become famous quickly so I only thought of mini-series. I wasn't ready. I learned how to blend in with others through "The Firstborn"". Thanks to that, she seemed much more natural and relaxed in "Sly and Single Again". The role of Kang Min-yeong is the best friend of Na Ae-ra (Lee Min-jung), who helps her and her husband Cha Jeong-woo (Joo Sang-wook) get together. It wasn't a big role but a necessary one. Hwang Bo-ra chose to act for the drama and not just herself. She had already experienced stardom in the past so it's likely she had a competition with Lee Min-jung. She opened her big eyes and said, "There was no competition. We are close". "I tried hard to be a real friend in "Sly and Single Again". I learned how to do my part in the previous drama; I was more relaxed. It was my job to make Na Ae-ra stand out". With 11 years into the business, Hwang Bo-ra claims she knows what true acting is. She was in a slump and used to draw at home when she discovered color. "I learned something I didn't notice when I was in school. Acting doesn't improve if you rush it like homework. Acting is more than work". "I was pretty famous in the beginning, but if I became a true star then, I wouldn't have been able to show real acting. You have to learn from the bitter times of life and that has helped me succeed. Acting should be done with the mindset that every single scene should be enjoyed. 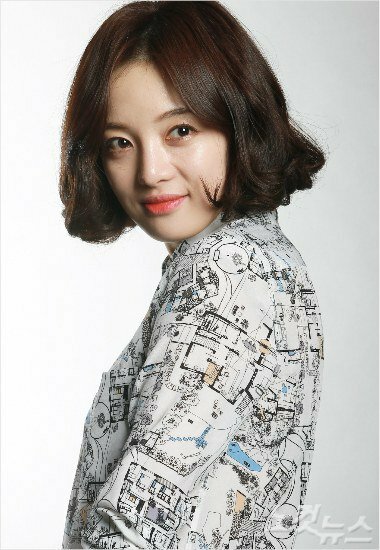 "Hwang Bo-ra, "It's been 11 years, I'm not a little girl anymore""
CJ E&M "Gabdong - The Serial Killer" and "Grandpa Over Flowers"